Every day, more than 3 million Ontarians provide support to loved ones facing illness, mental health issues, disability or challenges associated with aging. On April 3, CMHA Ontario joins organizations and communities across the province for Family Caregiver Day, an annual event to recognize and celebrate the value of caregivers to Ontario’s families, health care system, and economy. CMHA recognizes that caregiving is a specific role with unique challenges and solutions. Many caregivers feel socially isolated and may need care and support. CMHA Ontario Division is part of the ENRICHES Collaborative, which brings together local health and community leaders to address the complex challenges facing isolated caregivers 55+ living in Toronto. As part of ENRICHES, the Division offers an 8-week Living Life to the Full program for free to caregivers aged 55+ living in Toronto. 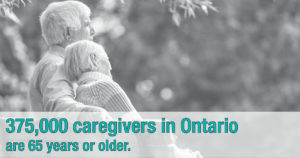 Visit ontario.cmha.ca/caregivers-toronto for more details.